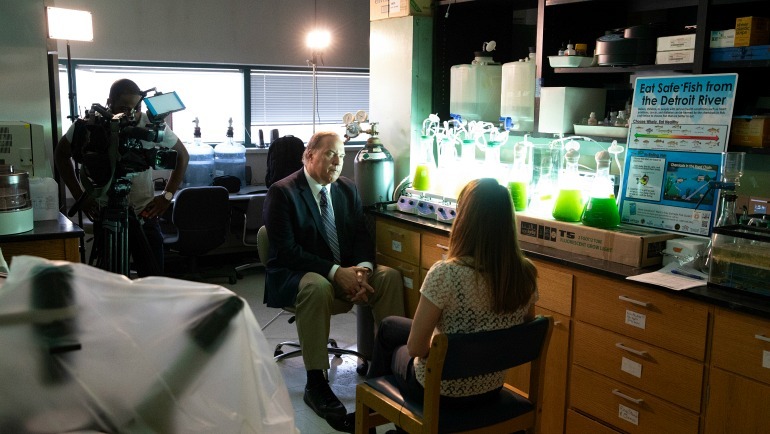 WDIV reporter Steve Garagiola interviewing Associate Professor Donna Kashian on May 16, 2018, about fish contamination. During the last 12 months, nearly 2,000 stories featuring Wayne State traveled a wide swath across six continents, landing in a number of mainstream media outlets around the world. With the exception of Antarctica — which identifies a single publication, The Antarctica Sun — the university was highlighted in print, radio and television on a variety of topics, averaging six stories daily. Wayne State Marketing and Communications annually reviews media activity to determine the content of news coverage and geographical reach. Data is captured through several monitoring tools and identified by a tier structure — Tiers I, II and III. In 2018, major Tier I stories totaled 912 — topping last year’s 909 total, and representing an increase of 12 percent since 2014. Emphasis is placed on Tier I stories, which focus primarily or exclusively on the university, usually including prominent photos or video. Tiers II and III, though not focused entirely or exclusively on Wayne State, feature faculty experts commenting on trending topics — commonly referred to as pull quotes and soundbites — or topics shared with other institutions. 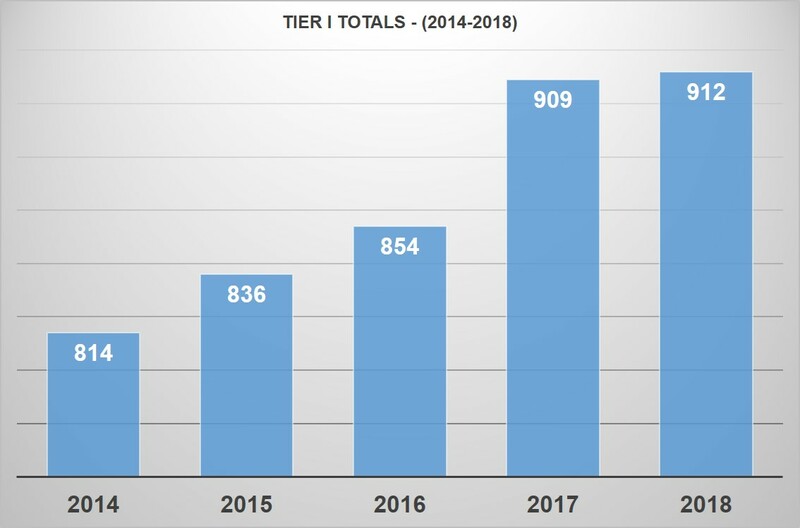 In 2018, major Tier I stories totaled 912 — topping last year’s 909 total, and representing an increase of 12 percent since 2014. Tier I stories are often pitched or facilitated by Wayne State communications professionals. Another component of the annual media review is advertising value of the stories, which refers to the actual cost of purchasing comparable advertising space for each story. The estimated advertising value of 2018’s stories is $17 million. This year’s stories extended from Detroit area dailies, television and radio to national media outlets such as New York Times, Christian Science Monitor, Los Angeles Times, Washington Post, Wall Street Journal, USA Today, Fox News, CNN, ESPN, CBS and ABC News, Boston Globe, Yahoo News and numerous international outlets.